The Miss International beauty pageant started in 1960, when the Miss Universe Organization left Long Beach, California, after almost 10 years as host city, to continue their pageant in Miami Beach. The people of Long Beach were very disappointed about that and so they started a new international beauty pageant: The International Beauty Congress, nowadays known as Miss International. In the 80’s there were several incidents according the Miss Holland pageant. Beauty pageants were therefore not really popular in the Netherlands although the dutch girls did a good job at the international pageants. 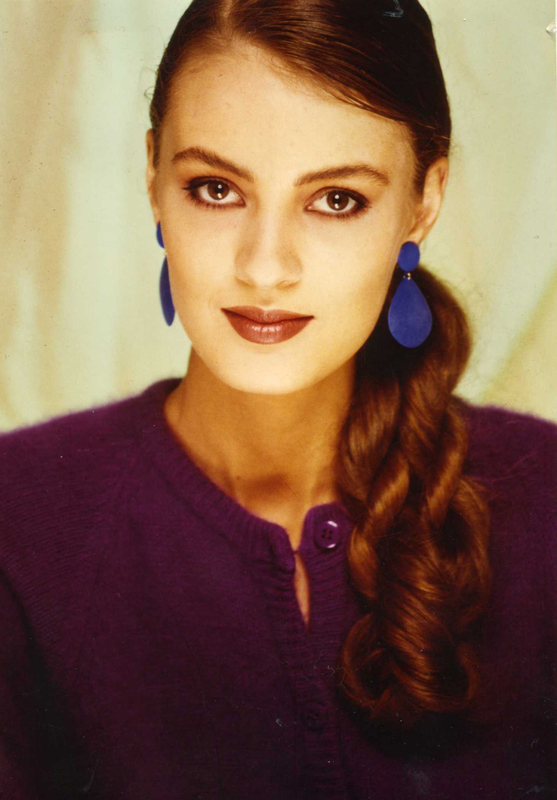 Of course the popularity increased when Angela Visser became Miss Universe in 1989. In the beginning of the 80’s there were only runner-ups that went to the Miss International beauty pageant to represent the Netherlands. There was only one semi-finalist at the beginning of the 80’s. Part 4 of the serie about the dutch girls at the Miss International. In 1979 Jacqueline made the gossip news because of an fight between two modeling agencies in the Netherlands. In that year she participated in the Miss Teenage beauty pageant an preliminary for the Miss Teen Intercontinental (nowadays know as Miss Intercontinental) held on the island of Aruba. According to the gossip magazines Jacqueline had won this pageant unanimously, but Yvonne Groot was crowned at the pageant. It was said that the organizer of the pageant was also the owner of the modeling agency that represented Yvonne, and not Jacqueline. It was Yvonne who went to Aruba. In 1980, Jacqueline became 3rd runner-up at the Miss Holland pageant and she was asked to represent the Netherlands at the Miss International pageant in Japan, where she was unplaced. Ine was 1st runner-up at the Miss Polly 1981 beauty pageant. The first 3 girls would go to the Miss Holland 1981 pageant where she became 2nd runner-up. Because of that she was asked to represent the Netherlands at the Miss International pageant in Japan. Ine did not place at the pageant. In 1982 there was supposed to be a Miss Nederland pageant (red: information from Ine) where Ine became 1st runner-up. She also participated in one of the Miss Panorama contests. For Jacqueline this was the first time she went to the Miss International pageant. It would not be the last time as she tried her luck again in 1985. In 1982 she was a participant at the Miss Holland 1982 pageant, she did not place as a semifinalist. Miss Schuman participated in many beauty pageants and modeling competitions. The last time we saw her in a national pageant was in 1991 when she became Miss Limburg Universe (Limburg is a dutch province). There were no runner-ups at this pageant only a winner was crowned. Rosalie was one of the favorites of the Miss Holland committee for the Miss Holland 1984 crown, but the judges placed her as first runner-up. Because of that she was asked to go to the Miss International 1984 pageant, where she was unplaced. Rosalie entered many beauty pageants in the Netherlands and won many. She also won the first Miss World University pageant in 1986. After her life as a beauty queen she became the life partner of the famous french actor, Alain Delon. The two met during the filming of a videoclip. They got two children but never married. In 2001 they separated. In the Netherlands many know her for her part in television shows like: Holland’s Next Topmodel, Ford Boyard and Sabotage and for her columns she wrote for magazines like Margriet and Elegance.